In 2004 the World Health Organization (WHO) created the World Blood Donor Day, an event to be celebrated annually every June 14th. The purpose is to honour and thank all the donors that help save lives every day and to exhort and motivate others to become blood donors too. The date also commemorates the birthday of Karl Landsteiner, Austrian physician, Immunologist and Nobel Prize winner for the discovery the human ABO blood group system. Each year a different country hosts the World Blood Donor Day; in 2016 the Netherlands has been chosen. Everyday, countless accidents happen, surgeries, transplants, miscarriages, premature births, burns; several of these procedures may require blood transfusions. A number of diseases such as haemophilia, leukaemia and severe anaemia also require transfusion of blood or blood derivatives. All these factors lead to a grand demand for blood and blood products. According to the World Health Organization (2012), 92 million people donate blood each year, 45% of these donors are under 25 years and 40% are women. The WHO wants to expand this universe of donors, encouraging other people to donate blood on a voluntary, non-remunerated and regular basis. The organization intends that by 2020 blood donations in all countries are completely benevolent and unpaid. To this effect, the WHO, the International Federation of Red Cross and Red Crescent Societies, have joined forces and created a global framework for action to achieve 100% voluntary blood donation in every country of the world. 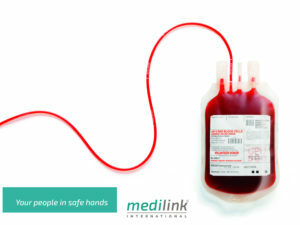 The joint venture effort is based on the recognition that voluntary non-remunerated blood donors are the safest and most reliable group of donors; several scientific studies have demonstrated that this group of donors have the lowest incidence of transfusion-transmissible infections, and since they are motivated by altruism and social responsibility, they tend to be more truthful about their lifestyles and medical conditions that could defer them from donating blood, therefore guaranteeing a stable and sustainable source of safe blood donations for all countries’ necessities. If every healthy person donates blood voluntarily, at least twice a year, blood centres would have sufficient blood products to serve the entire population. There is no substitute for blood and it cannot be manufactured, so spontaneous and periodic donation is critical. Blood donation is a simple procedure, done by trained professionals under medical and/or nursing supervision, thus ensuring the wellbeing and safety of the donor. What is needed to donate blood? A single blood donation can save up to three lives. All that is needed is a modest effort, a little initiative and a very small amount of discomfort, in order to save lives. Not everyone can save a life, but you may have an opportunity to do it; don’t waste it. Start donating blood on a regular basis and be someone’s hero for a day.